So now that we’ve looked at the advantages and disadvantages of the bath vs the shower, I wanted to have a look at wet rooms. 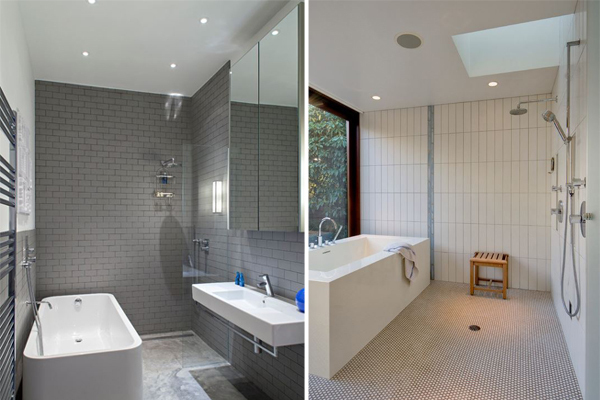 The word wet rooms is thrown around a lot when people are talking about bathroom renovations, so I want to clarify some of the points and look at the pro’s and con’s of installing a wet room in your home. Can everyone have a wet room? In theory, yes they can. 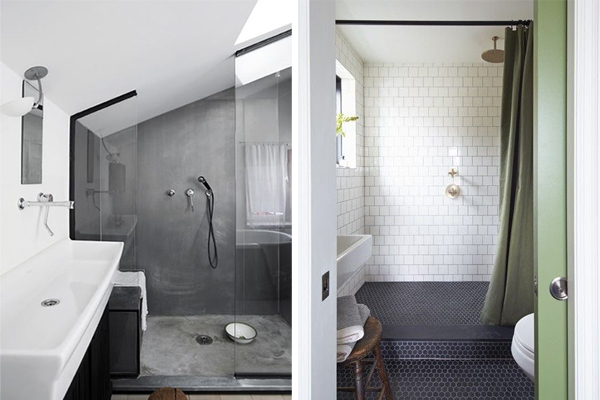 Basically a wet room is a shower room that does away with the use of a shower tray, and has an open tiled area instead. If your bathroom is slightly on the small side, then you may need to consider a shower screen to to help contain water splashes. This is most definitely a job for the professionals, as the floor tiles need to be laid in a very specific way. There need to be a gradient created along the floor to channel the water into a drain. As well as this, the entire rooms needs to be tanked. This is a waterproofing for the room which will ensure that there are no leaks down the line. There are 2 ways that a gradient can be created. The first is to create a sub floor in WBP Plywood, which can then be tiled over. The second is to use a prefabricated sloping shower, which is similar to a giant shower tray, which is also then tiled over. Waterproofing is extremely important in a wet room, as this will eliminate the risk of leaks in the room. Is involves priming the floor, lower sections of the walls and the entire shower area, which is then covered with a waterproof membrane. It may also be worth considering raising your door threshold by about 5mm, just incase the room fills with water. – If the job is properly done, then the sub floor is much better protected than that of a standard bathroom. – In small bathrooms, there is a lot more opportunity to soak the entire room, including your towels and toilet roll. – You will need to get a professional fitter to waterproof the room, even if you are a dab hand at DIY. As, if it is not done properly then leaking can cause major problems down the line. – As a wet room needs to be entirely tiled, this can be a lot more expensive than just tiling a half wall in a standard bathroom. So for a fairly standard size bathroom, you are talking anywhere between €7,000 – €15,000 depending on the level of finishes and materials. This is definitely not a room to scrimp on, so budget well and carefully select your fixtures and finishes. What type of tiles should I use? 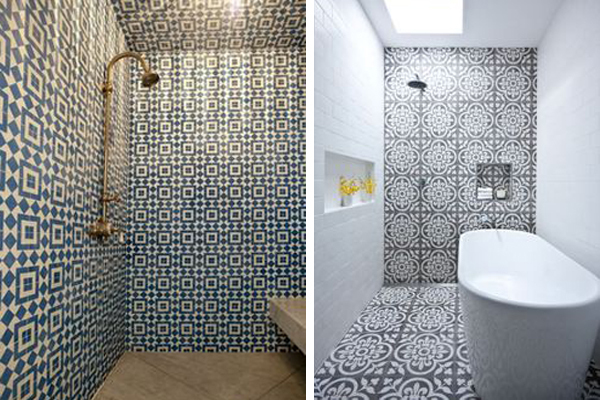 When selecting tiles for your wet room you should choose non-porous bathroom tiles such as ceramic or porcelain. Porous tiles such as slate, marble or limestone need to be sealed every couple of months to prevent water damage. Also you need to make sure that the floor tiles that you select are suitable for bathrooms as they need to be non slip. Sonas Bathrooms, 613 Kilshane Ave, Northwest Business Park, Ballycoolin, Dublin 15. Thank you for this post. It was very informative. 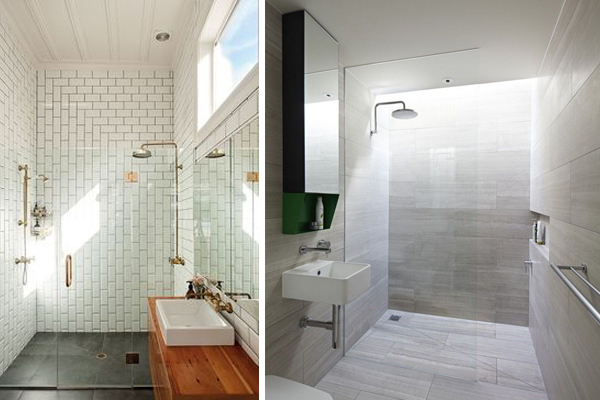 Wet rooms can create a very classy and stylish look while being also very practical and functional.